Sens. Bernie Sanders of Vermont and Elizabeth Warren of Massachusetts are looking into reports of “anti-union” activities and illegal labor practices by Amazon, The Washington Post reported Wednesday. 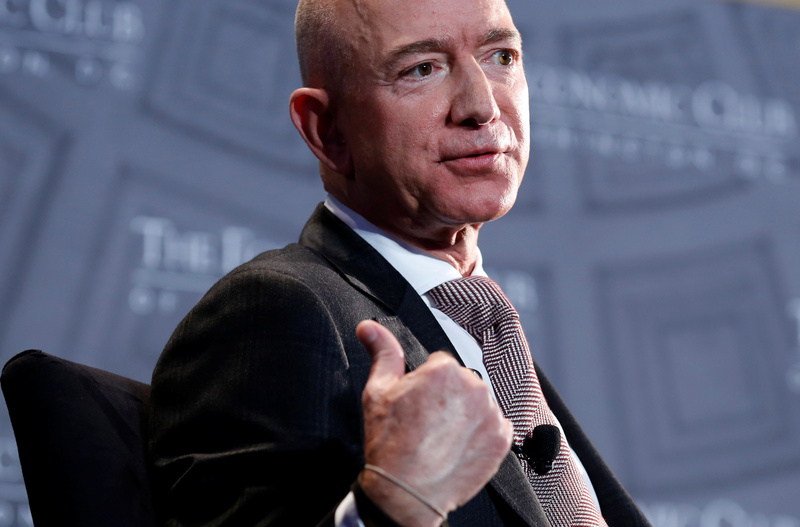 The senators sent a letter to Amazon CEO Jeff Bezos over a leaked 45-minute video distributed to managers at Whole Foods, owned by Amazon, over the problems a unionized workforce may bring to the grocery chain. Sanders, an Independent, and Warren, a Democrat, also asked Bezos to respond to allegations that Amazon management retaliated against workers who complained about the working conditions and potential labor violations. Amazon asserts that the company has not broken any labor laws. Amazon’s workplace conditions and its treatment of employees has been the subject of several investigations, including one where a reporter said he spent nearly a month in 2016 working in an Amazon warehouse in Britain. Amazon pushed back against the allegations made by Bloodworth and asserted that the reporter played up his claims and spread misinformation to help the sales of his book. He sensationalized “unfounded or unverified accusations for his own personal profit,” Robinson’s statement said. “This is a tired narrative created to sell a book and despite his negative experience and views on the company, Bloodworth found no issues selling on Amazon,” Robinson said. This post was updated with comment from Amazon.